You can tell sneakers are going to be a big trend after seeing Chanel’s 2014 Fall Collection. I recently began collecting sneakers. In the past, I wasn't comfortable wearing them because I didn't know how to style them. 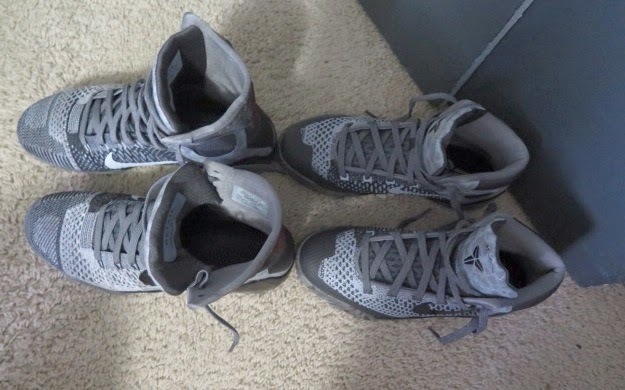 Having a boyfriend who is a big sneaker fan is a major plus. He really has exposed me to the different styles and brands. Little by little I've been able to incorporate them into outfits. At the pace I’m going, I’ll need two separate closets for clothes and shoes! 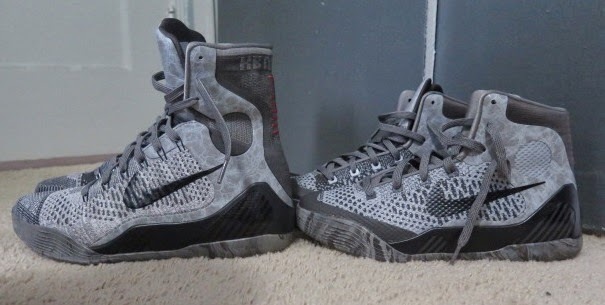 This weekend I was able to get the Kobe 9 Elite ‘Detail’. I've been eyeing them for the past few weeks. I am VERY happy I was able to get them. There is a reason why they are called the ‘Detail’. The pictures do justice in showing what it has to offer. From the marble detail to the different shades of gray all over, you can style them with jeans and a tee or even a short dress. The high top with the fly knit make it one of the most stylish sneakers I've seen.